The information presented on this page was originally released on March 26, 2010. It may not be outdated, but please search our site for more current information. If you plan to quote or reference this information in a publication, please check with the Extension specialist or author before proceeding. MISSISSIPPI STATE -- Mississippi's winter wheat crop is smaller and later than normal because of fall rains, and a colder-than-normal spring may limit the crop's yield. Erick Larson, grain crops specialist with the Mississippi State University Extension Service, said Mississippi's wheat acreage is expected to be well short of the 10-year average of 225,000 acres. "We planted our wheat later, and we planted a lot less acreage than normal last year because of the extremely wet fall," Larson said. "Extraordinarily abundant rainfall extended from early September through October, which prohibited any fieldwork or planting." Larson said growers were able to get into fields in early to mid-November. They planted some wheat during the latter stages of the optimal planting window, which for much of the Delta is Oct. 15-Nov. 15. "There was little or no opportunity for field preparation this fall, so planting conditions and methods used may not have been optimal for germination and emergence," Larson said. "Stands that emerged were somewhat marginal on some fields." Wheat needs to germinate, emerge and make a stand before cold weather sets in and the crop goes dormant for the winter. When warm weather returns in the spring, the crop grows rapidly and develops tillers, the additional stems that produce the wheat heads. "We did not get the normal warm temperatures to encourage growth early this spring," Larson said. "That, coupled with saturated conditions, could keep the wheat from reaching as much potential as we would hope." Wheat harvest typically begins the first week of June, and Larson said it is too early to tell if this crop will be later than normal, since the crop still has most of its growth and development yet to come during April and May. "The physiological limitation for yield comes from the cold conditions during late February and early March that limited the number of wheat heads that developed," Larson said. "If a wheat plant doesn't develop sufficient tillers, its yield will be limited." Once wheat is harvested, some growers plant late soybeans on the same acreage, but others let the land lie fallow or make field improvements during the summer. "Double cropping is a risky option, and whether growers do it each year depends on their philosophy, availability of irrigation, cash flow at the time and possibly some insurance programs," Larson said. 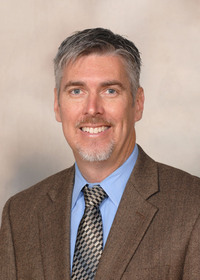 John Michael Riley, MSU Extension agricultural economist, said this year's wheat prices are similar to those in 2009, and both are well below the highs seen in 2007 and 2008. "Local elevator prices for the upcoming crop are being reported at $4.35 to $4.60 per bushel," Riley said. "That is not too far below the futures market, which is at $4.65 to $4.80 a bushel." "The March World Agricultural Supply and Demand report from the U.S. Department of Agriculture showed a decline in demand and, at the same time, a bump in global production," Riley said. "From what I hear, the world and U.S. crop just looks good. On top of that, the U.S. dollar has been strengthening since the start of 2010, which makes our export goods, such as wheat, more expensive. More stays in the United States, which puts further pressure on prices."